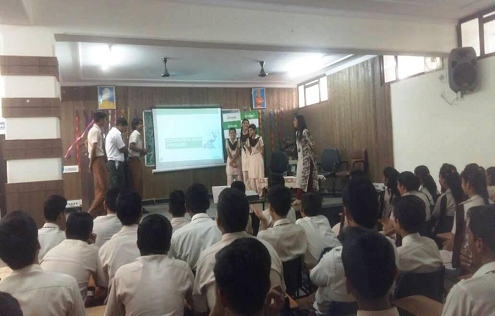 Fortis Escorts Hospital, Jaipur, An informative session on coping with Peer pressure was organized for 250 students and teachers of Tilak Public School. Ms Udita Kaushik, Counselling Psychologist conducted the session. The main aim of the session was to update the knowledge of students regarding peer pressure, its influence and also tips on how to manage it.